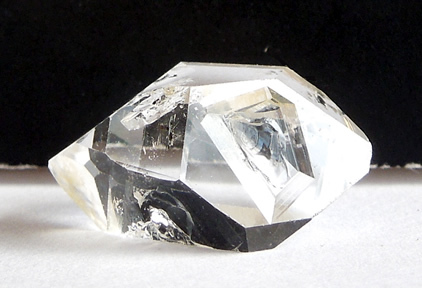 This quality Herkimer quartz crystal features an enhydro, or more correctly, a fluid filled inclusion. What's the difference? A scientist will tell you a fluid filled inclusion is fluid, generally water based, sealed within a crystal during its growth. While enhydro does mean fluid filled, this fluid is not necessarily sealed inside. A fracture could have allowed it to enter, and thus escape. In a nutshell, fluid in an enhydro is able to move in and out of the stone, where as a fluid filled inclusion contains fluid that was trapped inside when the crystal formed. 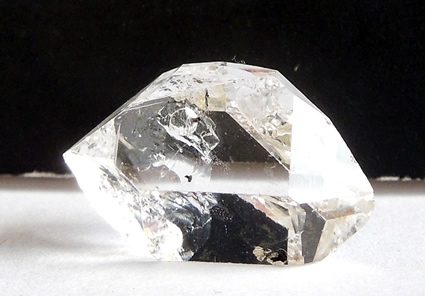 The fluid in this Herkimer is between 300 - 500 million years old ! The fluid movement can be seen clearly with the naked eye, however, we include a loupe to fully appreciate it ! Externally, a shallow and well defined key is present. Double termination tips are sharp. 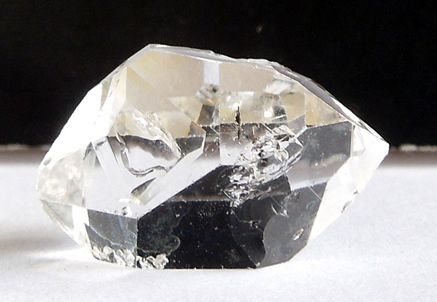 The minimal growth marks prove authenticity and in no way deter from this beautiful water clear crystal. I tried photographing it several times and the pictures just don't do it justice. 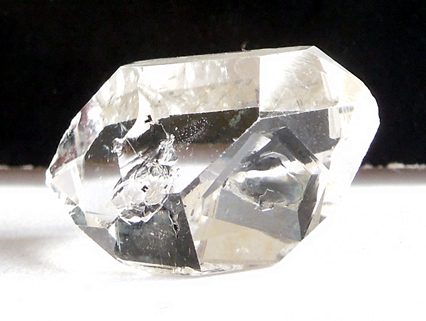 It's a shy Herkimer Diamond. The thin iron oxide coating the shows up in the photos is not noticed in person. 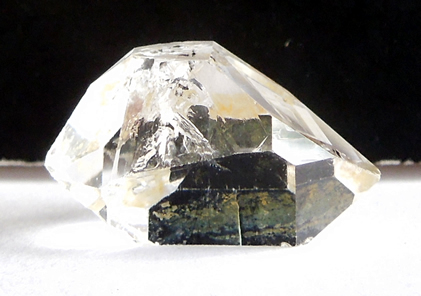 Other than the fluid filled inclusion (enhydro), this Herkimer quartz crystal is internally clean. 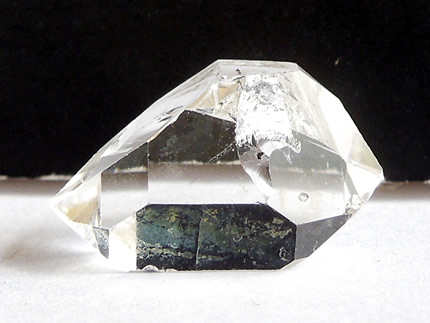 Herkimer with fluid filled inclusion.